Voice your opinion! Review Babel Host now. Glad to have worked with you. This company felt like close mates. A really good team to work with. 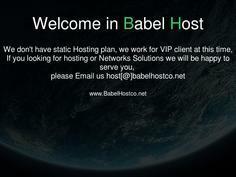 Is Babel Host your company?